WAR OF THE REALMS TIE-IN! ANGELA VS. THE QUEEN OF HEVEN! Angela was kidnapped at birth, stolen from her Asgardian heritage and raised an outcast in the less-than-heavenly Heven. For years, she has wandered the universe as neither a true Asgardian nor a true Angel. Now she has the chance to repay her “debt” to the Queen who stole her away. 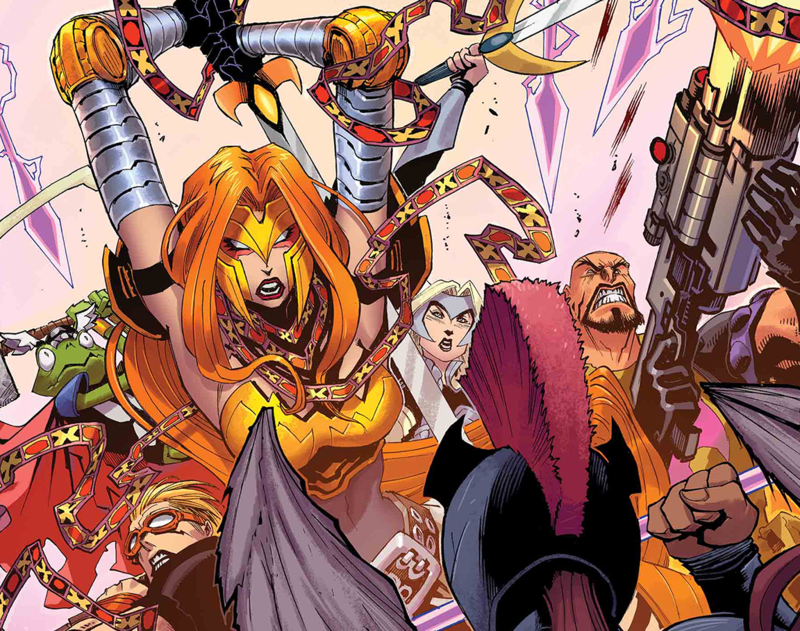 The Asgardians of the Galaxy fight for their comrade and for all of Midgard in the depths of Heven-controlled Africa! Written by Cullen Bunn with art by Matteo Lolli. Cover art by Gerardo Sandoval.